For 2019, the Acura ILX gets another facelift. Yes, this car’s been with us since 2012, and yes, it’s still based on the last-generation Honda Civic’s platform. Yet Acura has somehow injected a healthy dose of relevance to its dated subcompact luxury sedan. 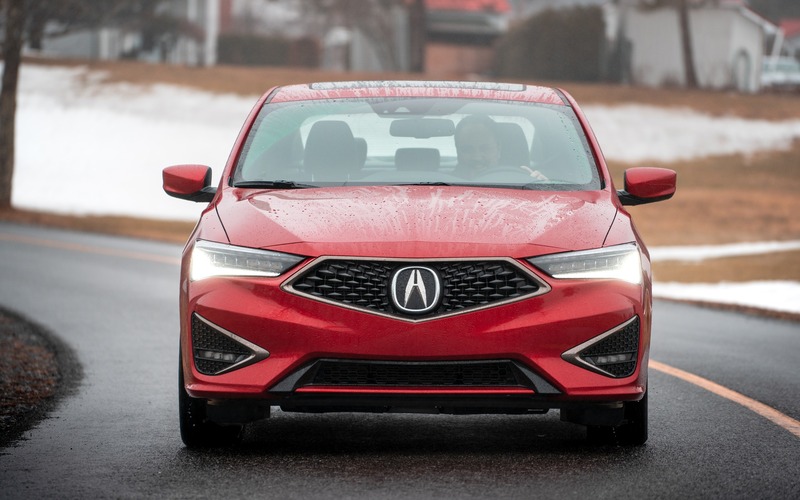 If anything, this version is its most potent one, and even if we’ll need to wait a few more years for an entirely new ILX, Acura now markets a rather interesting sports sedan with a few tricks up its sleeve to steal sales from its German rivals. Acura claims it has the largest percentage of millennial customers of any luxury car brand, which served as motivation to facelift the ILX. That, and the fact that the entire Acura brand has yet again changed its face, this time with Acura’s Precision grille. The ILX is therefore the last car in the lineup to get the new schnoz. But to Acura’s credit, the ILX’s initial strategy is working, just like the EL and CSX that came before it. It exists for the sole purpose of luring in new, younger consumers to an Acura showroom in hopes that they’ll eventually upgrade for an RDX, or even an MDX SUV. That formula hasn’t only worked for Honda’s luxury division. German brands BMW, Audi and Mercedes-Benz have all integrated small and “affordable” cars to their lineups with massive success. Think Audi A3, BMW 2 Series and Mercedes-Benz A-Class and CLA sisters—they’re all direct rivals to the ILX. Now, you’re probably thinking that an Acura ILX can’t match the sophistication of the cars listed above. And you’d be right, but the ILX is considerably more affordable than those cars, delivering a frankly solid bang-for-the-buck factor. If anything, you’re getting more for your money than a similarly equipped Honda Civic Si. Our tester, a Tech A-Spec model, with all the bells and whistles, stickers for $35,390. The base trim sells for $29,990 before freight and destination charges. That’s cheap, especially considering what you’re getting. You get 201 horsepower and 180 lb.-ft. of torque from a naturally aspirated 2.4-litre four, essentially the engine that powered the last-generation Civic Si. So, its reliability is proven. All ILXs continue to be equipped with an eight-speed, dual-clutch automatic transmission, as well as front-wheel drive. Sadly, the manual gearbox is gone, which would certainly allow the ILX to set itself apart from its rivals. The A-Spec package is mostly aesthetic, adding a skirt kit, sportier bumpers a rear decklid spoiler, wheels, flashy colours and a bespoke interior. 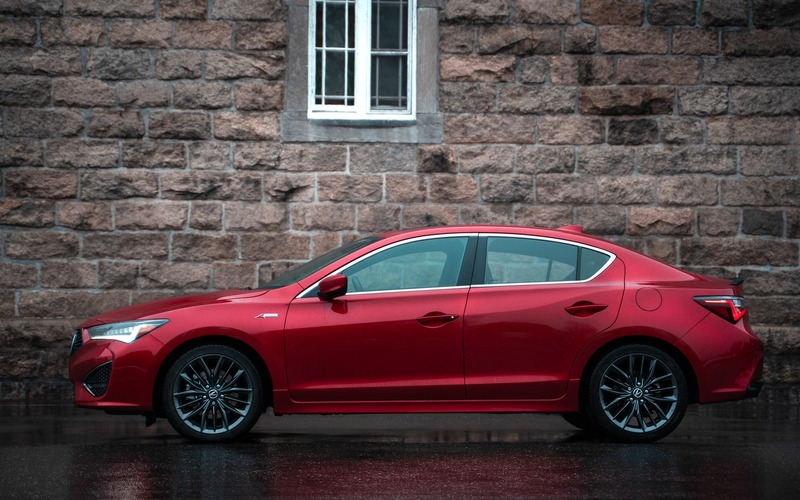 In all fairness, it gives the ILX a fresh sporty look we quite like. Acura has also pimped up the cabin by integrating softer, more upscale materials. 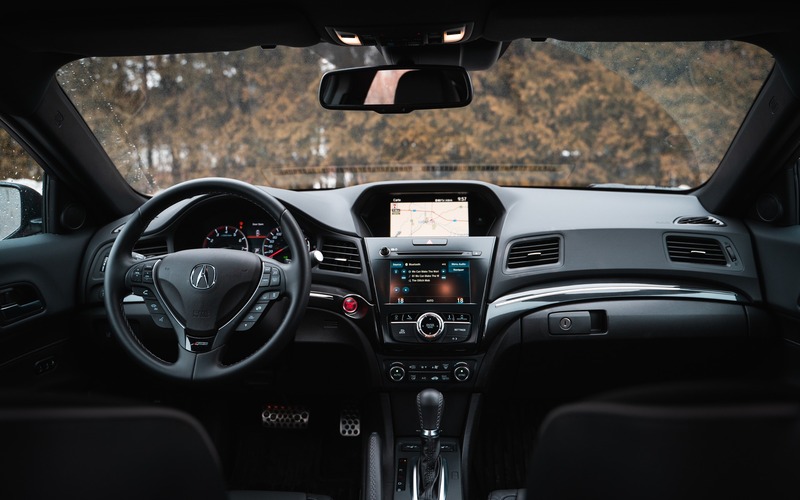 The dual-screen infotainment system remains, but Acura claims it’s been simplified and enhanced with quicker reaction speeds. It’s now Android Auto and Apple CarPlay compatible. The moment you get behind the wheel of the ILX, we’re instantly reminded of what we’ve lost with turbocharging. That VTEC engine sings to the addictive melody of a finely tuned valvetrain, all while smoothly revving eagerly to its 7,000-rpm redline. Is the ILX fast? Well, no. It’s quick enough though, with a 0 to 100 km/h sprint achieved in just under 6.5 seconds, but the engine’s urgency and the precision of the dual-clutch gearbox, especially when moved to the S position, allows the driver to temporarily disappear in the art of driving, a quality that’s slowly disappearing from modern cars. As a matter of fact, the ILX’s age gives it an edge over its rivals. Traction control can be easily removed at the touch of button, and so can its semi-autonomous safety features. Those come standard on the ILX, by the way, part of a package called AcuraWatch. The ILX also gets a physical handbrake. It’s no Civic Type R, but the ILX is a fun and energetic little car. It handles flat in corners, with very little unwanted torque steer and yaw. That’s good news considering it doesn’t get the last Civic Si’s limited-slip differential. The ILX rewards spirited driving, the kind of car you’ll love to throw into offramps without getting into too much trouble. 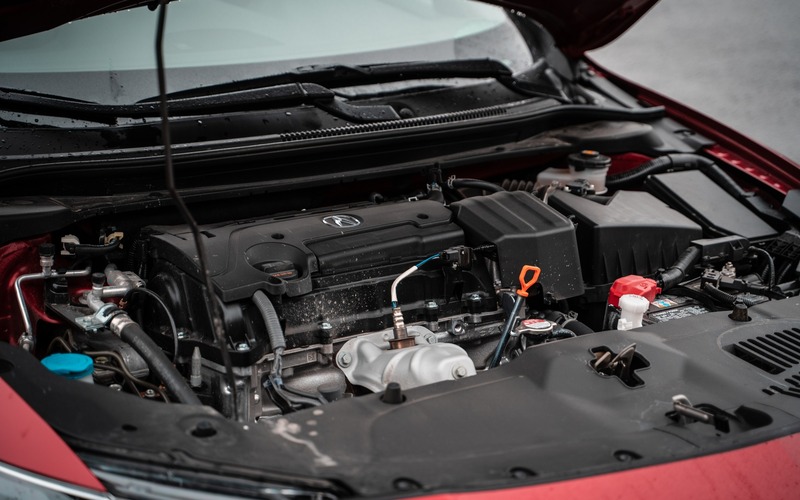 The ILX’s dated platform does come with its share of shortcomings. While Acura has fitted the car with sound-deadening materials and thicker glass, this luxury sedan remains loud on the highway. The seating position is also awkward, tall drivers well easily get their hair messed up by the headliner, and while we did notice the improvements made to the infotainment system, it’s heavily dated when compared to what’s currently out there. It also takes a fair bit of time to properly understand it. Rear legroom is, however, on the large side for the segment, same for the trunk which remains a tad larger than an Audi A3’s (346 litres) with its volume of 350 litres. But at the end of the day, one can’t help but ask themselves why the ILX should be considered over anything Honda, i.e. a Civic Si, or even a well-equipped Accord. Both cars are more modern, refined and just as quick. And some would even argue that you could get a Volkswagen Jetta GLI for similar money. But, the ILX remains an interesting car, simply because you get a lot for your money, all while being entertaining enough to drive to make it relevant. It also looks not bad, especially painted in that shade of red our tester was covered in. There’s a lot to like here. While aimed at a unique kind of costumer, it’s everything but a bad vehicle. It’s reliable, looks the part, and edges out the competition with plenty of value.